Unparalleled luxury, spectacular white sand, and an incredible underwater world make the Maldives the holiday destination of a lifetime for many. It’s home to some of the best beaches in the world and has more than 1,000 islands, all remotely located in the Indian Ocean. Some of the world’s most exclusive hotel brands compete with one another, so it’s not at all surprising that honeymooners and those seeking some alone time often put this place at the top of their travel wish lists. 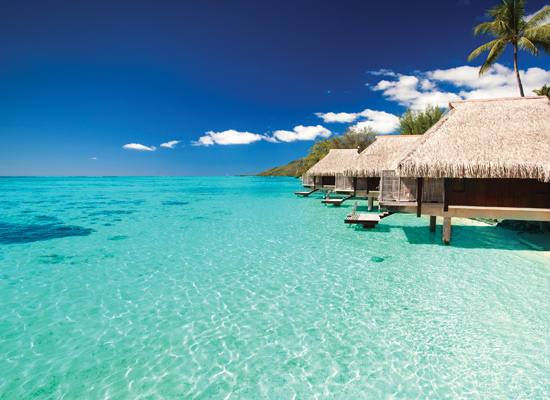 And then there are choices beyond the luxury resorts, as the islands also cater to families, divers and lone travellers. Every resort in the Maldives has its own private island, and with more than 100 to choose from, the only problem sometimes is selecting where you want to stay. 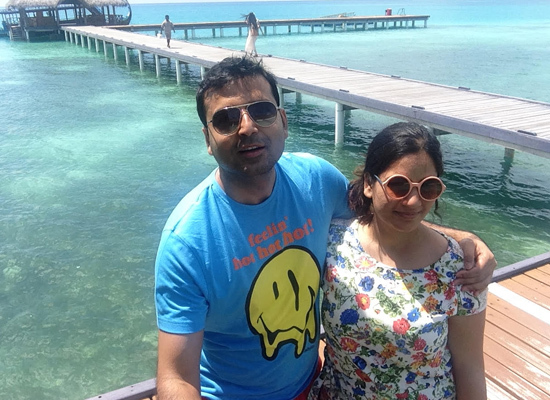 Praveen and Tripty were visiting for the second time, and chose Medufushi Island Resort, which offers five-star luxury with villas that open out to sweeping lagoon views, as well as outdoor pools, fitness centres, spas and dining options. “This was our second trip to Wind Sands, and I crave to visit every time I leave. Though we changed the resort this time to stay at Medhufushi, an hour’s flight from the airport by seaplane, it was a sudden change of plan. The visa-on-arrival facility makes life easy in the Maldives. Our four nights and five days at the beach villa were sublime. We had one piece of luggage between the two of us, so travelling lightly we stayed within the resort, partaking in water sports of all kinds and doing some island-hopping,” Praveen says. The Maldives is also known for its traditional cuisine, which is widely based on ingredients such as coconut, fish and starches. While the resorts offer a variety of international cuisines, the local fare can be a real pleasure. “This place is a delight for people who love seafood. I tried almost all the delicacies, though I prefer fish and chicken. Tripty is a strict eggetarian, but she loved the Indian touch to the vegetarian fare being served,” Praveen adds.